1. How to Transfer photos & videos between iOS devices? The app will automatically detect all other devices that are connecting to the same Wi-Fi network and running this transfer app on them. * Download selected photos and videos to the target device. Note: Do I have to buy twice if I use it on my iPhone and iPad? No. You don't. Make sure to use the same iTunes account as in the first place. You can download your previous purchases directly to your iOS devices. You won't be charged again.To transfer photos and videos between two iDevices both must have this application installed and running. 2. How to Transfer photos & videos between iOS device and computer? 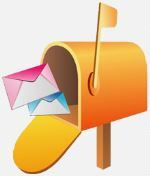 * Start download or upload photos and videos from/to the iOS device through the browser on your computer. Note: Mac users can download and use the computer companion app as an alternative to web browsers. 3. Can I use this wireless transfer without Wi-Fi network? 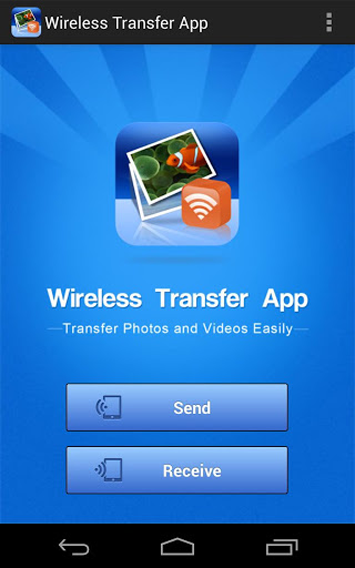 You can still use this app to quickly transfer photos and videos even if there is no wireless connection. For the device running iOS 5.0 or above,please set up Personal Hotspot in that case. Go to Settings > General > Network, tap Personal Hotspot and turn it on. Then join the Hotspot network on another iOS device. For more information, please go to Apple Support. Please make sure the Wireless Network is turned on and there is very stable network signal. Please make sure the app is running and the airplane mode is off on all your devices. If there is wireless network signal shown in your device, please double click the "Home" button to open the taskbar, delete the app and restart it. 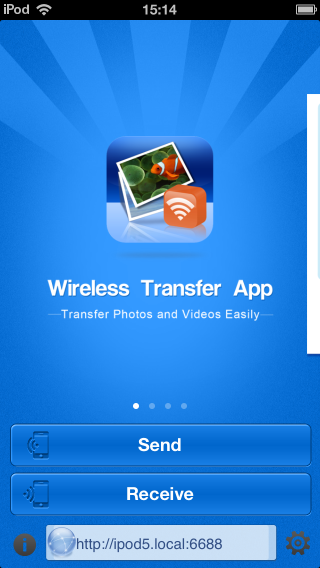 Easy, fast,simple and great way to transfer photos to iPhone from pc or to pc from iPhone! !